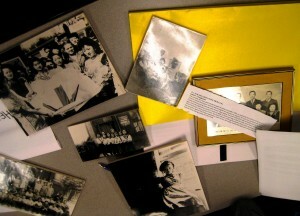 The historical photographs gathered by the MHSO are a major component of the Society’s archival holdings. Over 50 ethnocultural communities are represented in the collection. The Society deposited the majority of the historical photographs it gathered during the 1970s and 1980s – approximately 84,000 photographs – in the Archives of Ontario (AO), but it also houses significant numbers of more recently acquired photographs in its archives. The photographs in the Multicultural History Society of Ontario fonds in the AO include original prints, copy and contact prints, photocopies, slides, and original and copy negatives. They depict people, places, activities, and events from the late 19th century to 1980. In addition to portraying individuals and family life, the photographs document migration, neighbourhoods, enterprises, work in occupational niches, religious celebrations, sports and recreational activities, entertainment, and associational culture. Many of the MHSO’s historical photographs have been used in websites, books, exhibitions, films, television productions, and newspaper articles.